Pack your bags and cancel your plans for the next couple of months, because it’s time to go around the world in 80 Days, choose-your-own-adventure style! What, already played inkle’s adaptation of Jules Verne’s novel on mobile (iOS, Android)? Well, you’ll likely want to double dip still, as the upcoming desktop (Windows, OS X) port not only adds a ton of content, but also makes the game look better than ever! Groovy. For those not familiar with 80 Days, it’s essentially a steampunk take on Jules Verne’s classic, Around the World in Eighty Days (a book you really should be familiar with!) with an interactive twist. While many other games make this claim, here, your choices do geninely help shape the story – in good and bad. Success or failure – it all depends on what you do, where, and how. One man, one wager, eighty days! Now, I’m sure fans – myself included – would have gladly paid the admission fee for a 1:1 port, but that doesn’t make the “thirty new cities, over 150k words, and two major new world-spanning plotlines” less enticing. Not in the slightest. On top of that, there’s also some fancy visual stuff, including upgraded lighting / shader effects, “animated text reveal”, and last but by no means least, a day / night cycle. Talk about going that extra mile for the desktop release, eh? 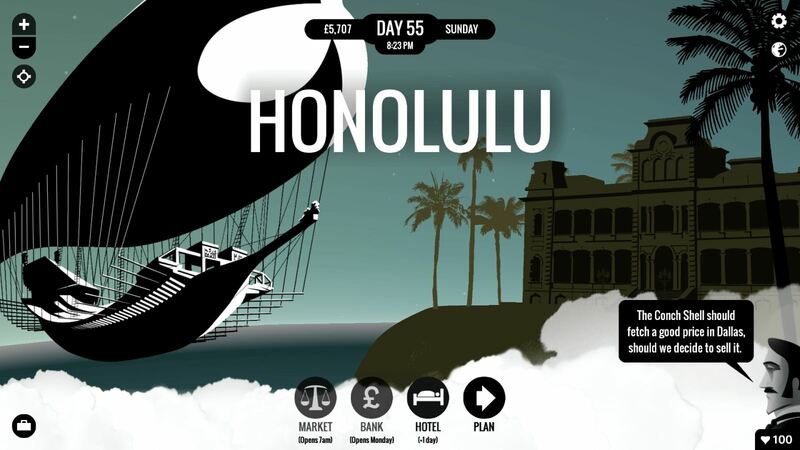 We won’t have to wait long either, as 80 Days is set to depart (get it?) from Steam, GOG.com and Humble on September 29th, carrying a $9.99 price tag, at which point I will add links to remaining store pages. Note: mobile versions will also be getting the aforementioned content update.